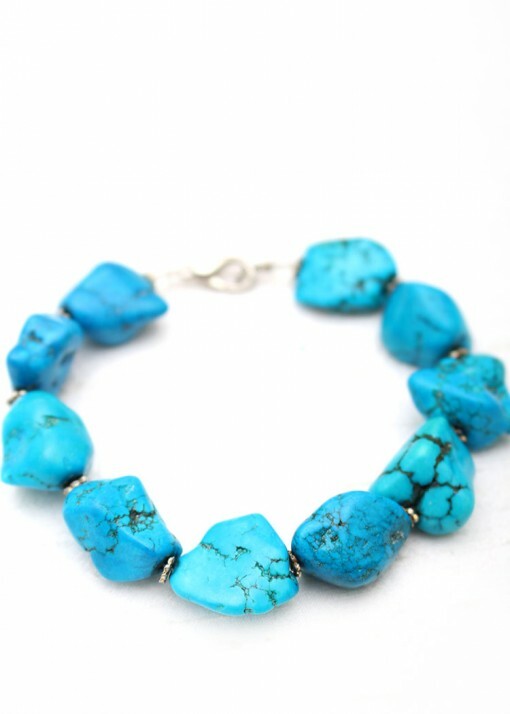 This dazzling turquoise and silver beaded bracelet is perfect for both a laid back bohemian look, and a bold statement ensemble! 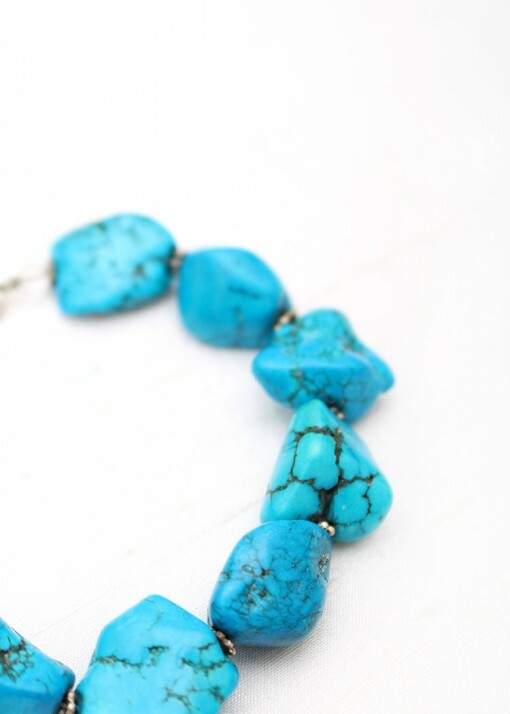 This piece is made up of irregular shaped pieces of semi-precious turquoise, hand polished and strung on tiger tail. 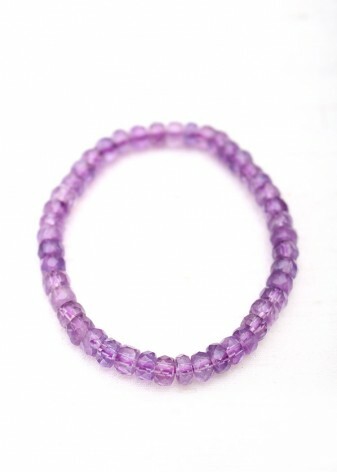 Each exquisite piece is alternated with a delicate silver flower shaped bead separator, and at each end is a small clear glass bead. 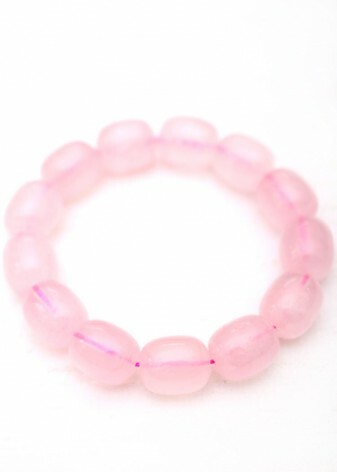 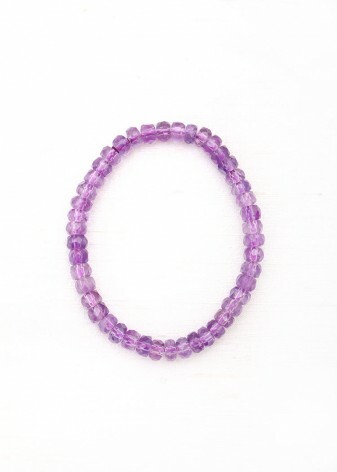 The bracelet fastens with a dainty silver claw clasp, which is secure but attractive. 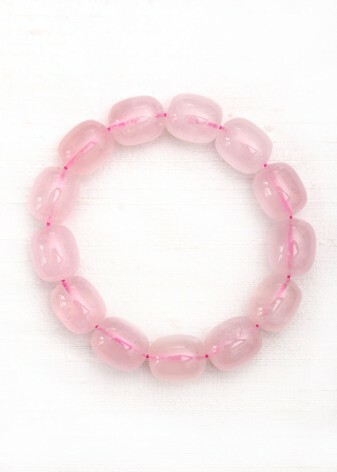 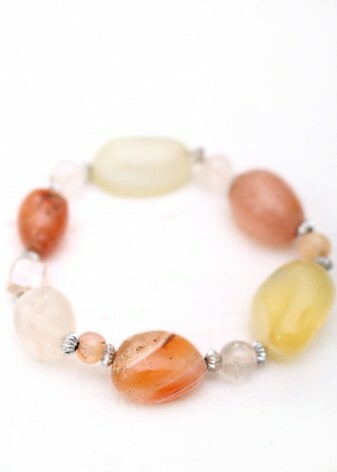 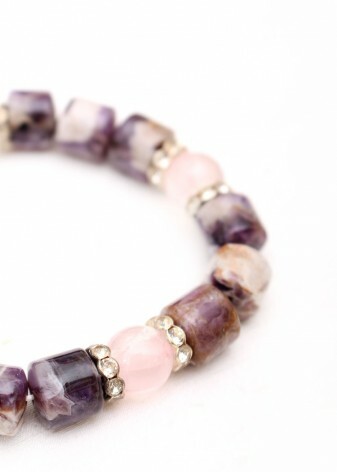 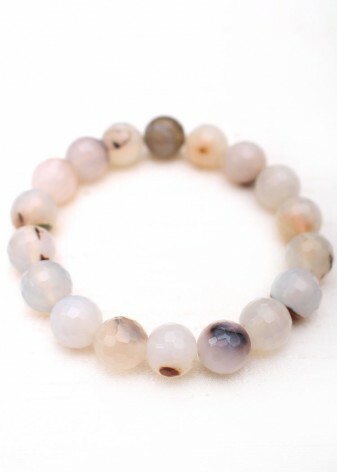 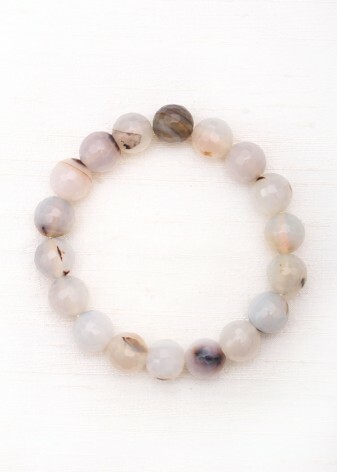 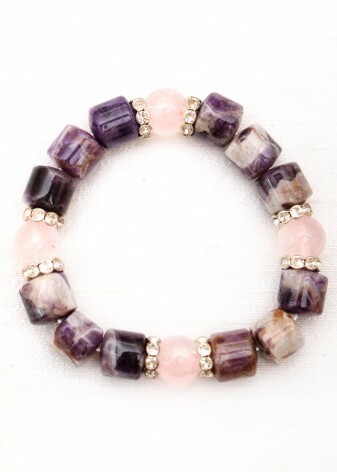 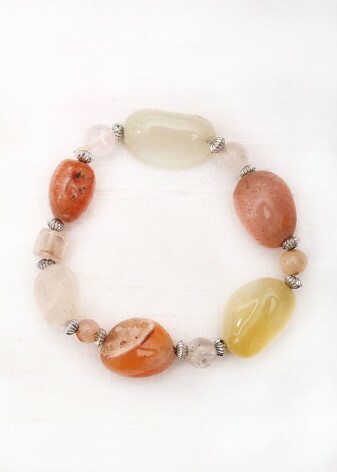 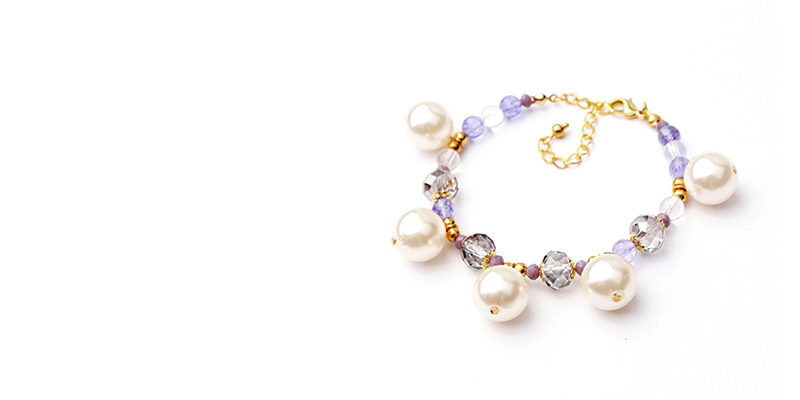 This piece would add a stunning semi-precious touch to a casual combination of jean and a jumper. 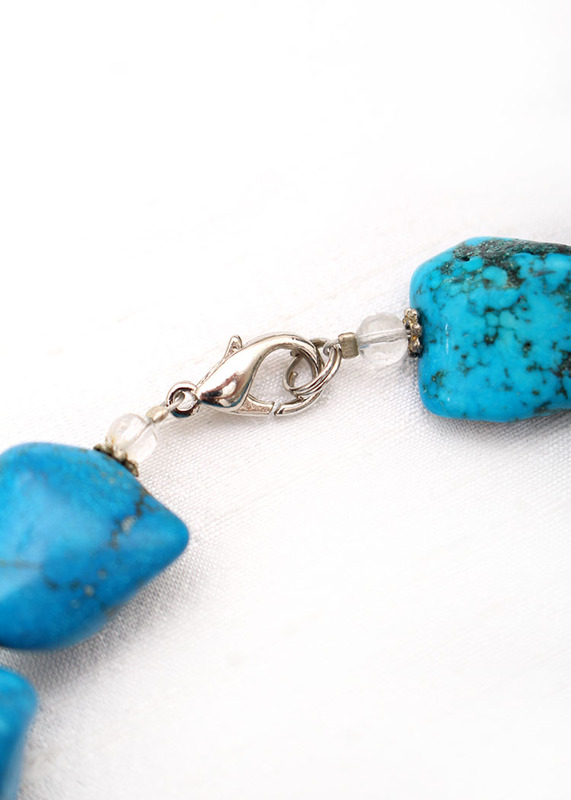 Or use it to accessorise a party dress, with other matching turquoise pieces.